Being a student is not easy. Even tough you can work while studying, money is still a problem. Also, With the increasing demand for high-profile employees, many people decide to pursue a degree or further qualify and continue their education. Can you refinance your student loan and stay in life? With the increasing demand for high-profile employees, many people decide to pursue a degree or further qualify and continue their education. Being a student, however, is not easy. Even though there are plenty of opportunities for students to work while studying, money is still a problem. The tuition fees are sometimes enormous. This is the reason why so many people take out student loans to support themselves and pay their annual fees. This data only confirms the importance of student loans nowadays. 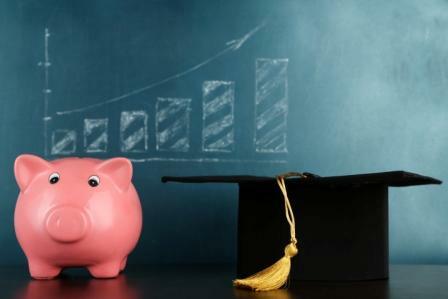 Many people, however, have problems with repaying their student debts or opt for lower interest. Let’s look at the options you have to refinance your student debt. Why Would You Consider Refinancing? Before you sign the papers, you have to be aware of your purpose. What is the reason you are doing this? What do you want to achieve by refinancing or consolidating your student loan? Lower Interest Rate – Maybe this is the most common reason for people to take out a new loan – better interest. If you can negotiate better terms overall, it would be great. Reduce The Total Amount Of Debt – If you manage to get lower rates and shorter period of repayment, definitely you will decrease the total amount of money you owe. This move would be wise only if you could afford the monthly payments. Pay Less Each Month – By lowering your interest rate, the chances are you will end up paying less each month. If you manage to prolong the period – even less so. Be careful, though. Expanding the period of the loan will definitely result in increased total costs. Make It Simple – Maybe you have a couple of student loans. This is a debt consolidation where you can combine several student loans and make it simpler and easier to manage. Let’s say you will have only one payment a month, not three. Free Yourself Of Cosigners – It’s terrible to have problems repaying your loans and have a co-signer at the same time. If you refinance your student loan, you might remove the cosigner and be free. No fees – Usually, refinancing loans shouldn’t have application and origination fees. However, some of them will charge you and you have to look carefully before signing your new contract. Change your lender – Maybe you are not happy with your current bank and you want to change the lender. They, on the other hand, might give you better terms on your new loan. Federal student loans are loans funded by the US government. If a person has several of these, they can qualify for a federal student loan consolidation. You will not get a random interest here, but rather a weighted average of the loans combined. This means that your new interest rate might be lower than the one on some of your old loans, but it could also be higher than some. Like any other loan, good credit score and record of payments is compulsory if you want the bank to approve you. This is for borrowers who have only private loans, which are given by a lender – a bank, a credit union, etc. This consolidation is possible only if a person has private student loans. In addition, a good record of payment and credit score, which determines the interest on the new loan. This option is very similar to the previous one. Using it you can consolidate your private student loans to pay less each month. There is one major difference – here you can work with lenders that offer to consolidate both private and federal student loans. As previously discussed, depending on the type of student loans there are mainly two options – refinancing and consolidating. When consolidating their debt, borrowers can unite only one type of their loans – federal or private. For example, a student takes a consolidation loan to unite his federal student loans. Refinancing, on the other hand, combines both private and federal student loans. Only private lenders offer this type of refinancing. Why would you combine them? It would give a better rate, better terms, and one monthly payment. Refinancing your loan means that you will take out a new one to cover and pay off your existing debts. This, on the other hand, means new conditions and terms. Before consolidating or refinancing, know that federal loans offer some special benefits. For example, forgiveness or repayment plans. You can also “pause” your payments for a while. Once you go for a refinancing, you won’t be able to avail of these benefits. It’s irreversible, so be careful when you refinance your current debts. Paying your monthly installments on time for several months in succession might give you some benefits. People who have federal student loans are not penalized for prepaying their loans. Think about paying more some months, and the term of your loan will decrease. Now that you know the basics of student loan refinancing and consolidation, it’s time to ask yourself several questions before you proceed (This post can also assist you to ask the right questions). What do you want to achieve? The thing you want to accomplish most will shape your actions and the type of refinancing you’ll get. It will dictate every step toward achieving the task. What’s the money you can afford? Be clear about it. Know you finances and plan carefully. What is the recommended amount of money an individual can dedicate to monthly payments? Here you need some maths. Calculate your discretionary income (this is what’s left after taxes, social security and basic living costs). Some claim it’s usually between 10-15% of your total income. Dedicate 10% of your discretionary income to monthly payments. It depends on many factors, as you know, but usually federal loans offer a lower rate than private ones. The main factors determining your refinancing loan rate are your current loans’ rates, your credit score, your current terms and conditions and your payment history. Before refinancing you have to take a look at your credit score. Nowadays, many lenders provide their customers with a monthly credit score. Just check your monthly statement. Also, there are websites that show your credit rating. Credit karma and Credit Sesame are two of the most common ones. A great credit score can always guarantee better terms on your student refinancing loan. What are the possible new conditions? Before taking the new loan, check what the new terms and conditions will be. For example, federal student loan consolidation usually offers between 10 and 30 years as a repayment period. Terms of refinancing loans range between 5 and 20. As regards the interest, if you consolidate your federal loans you will get a fixed rate for the whole period. When it comes to private student loans, private lenders offers two types of rate – fixed or variable interest rate. So, when you have some information about your new loan’s terms, conditions and interest compare with your previous one. Before going to your lender and asking for consolidation or refinancing, you have to be perfectly aware of your current situation. What is the reason to do it? Are you unable to repay your loans? Or maybe the high interest rate troubles you. Often financial problems stem from a person’s spending habits and bad management. Instead of taking out a new loan, see if you can restructure your budget and expenses. Check with your lender if you qualify for some other benefits. If you really face serious financial issues, let’s say have no job and other predicaments, then consider refinancing or consolidation.